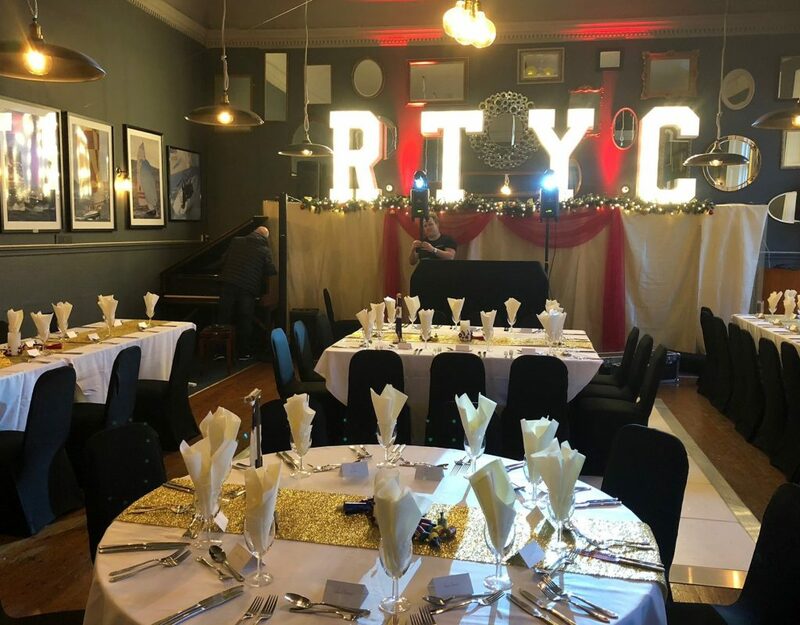 Book your Christmas Party at the prestigious Royal Torbay Yacht Club and we will ensure your staff have the party of the year! Our competitively priced packages take the strain of organising the event off your shoulders and with no hidden extras you know exactly how much you will be paying. 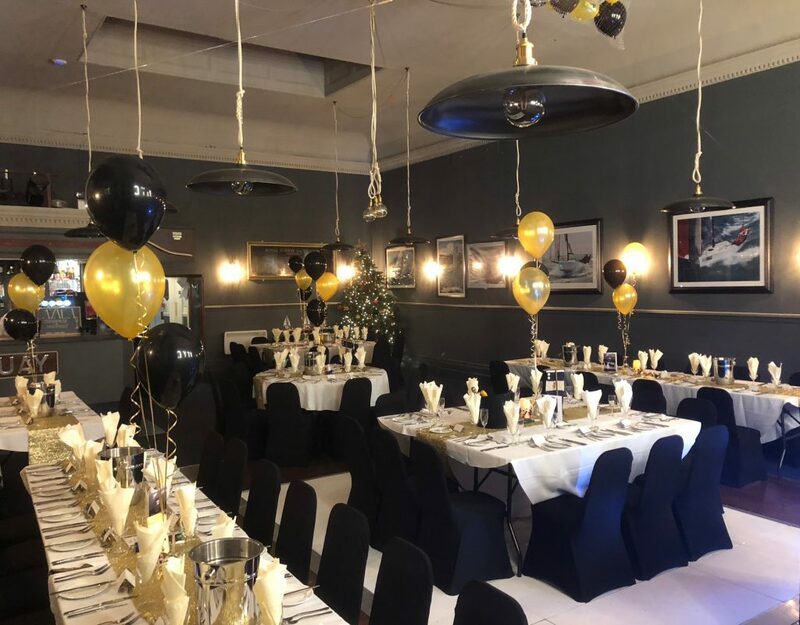 Our function room, the Corinthian Room with its modern decor, dance floor and private bar offering a wide selection of drinks can accommodate up to 120 guests. 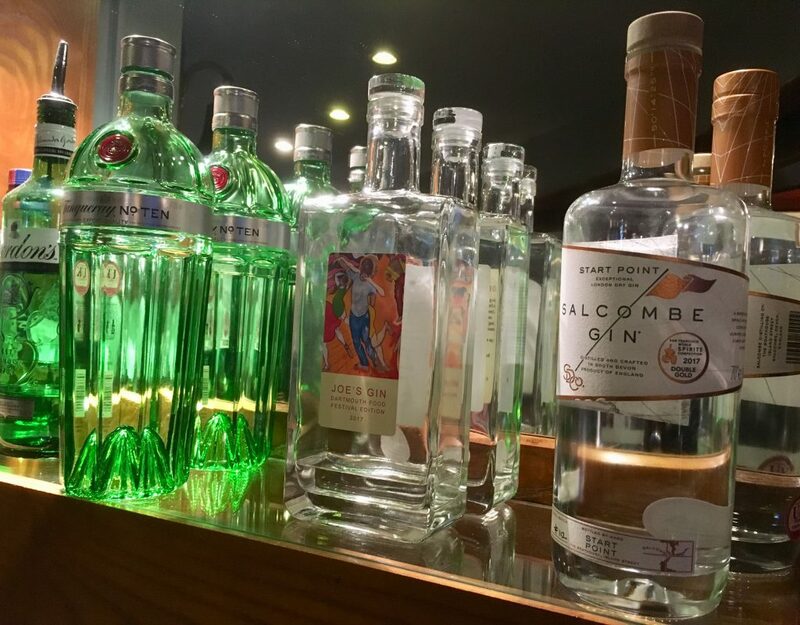 We offer a selection of fixed-price packages to suit all budgets, with choices from a selection of buffets for evening parties, or a sit-down Christmas Lunch for day-time events. The Corinthian Room includes a full PA system with wireless microphones and a permanently installed projector with 100-inch screen (these are both available for use during your event at no additional cost). For larger companies with 50 or more employees, we can offer an exclusive, private party complete with professional DJ and Disco till late. For smaller companies why not book our shared party night? 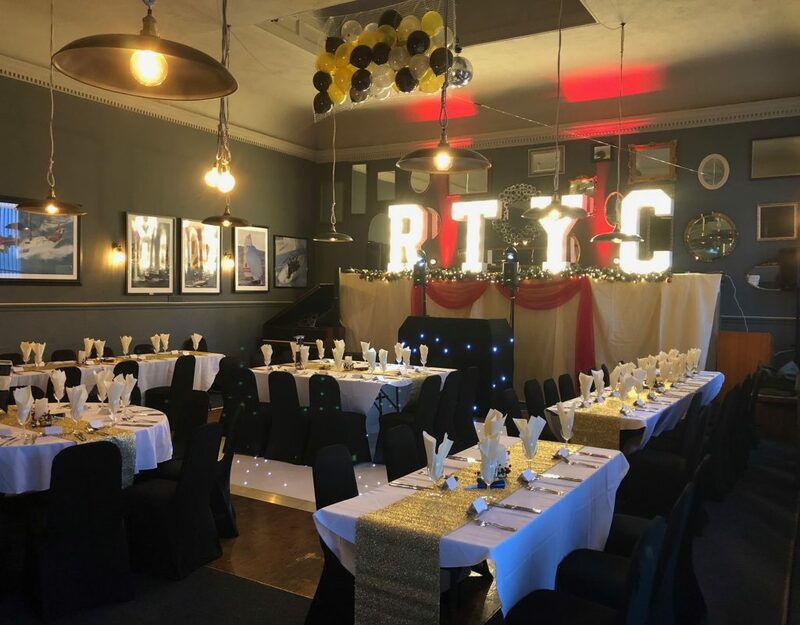 Our shared party night is ideal for the smaller company looking for that great Christmas party atmosphere in the company of others. With no minimum booking a great time can be had by the smallest of employers. Our shared party night includes the food listed below along with a professional DJ and Disco till late. Enjoy a delicious, homebooked traditional Christmas Lunch in our private restaurant. With a wonderful view over Tor Bay and Torquay harbour, our intimate restaurant is the ideal venue for your company Christmas Lunch.